You can view the parade free from anywhere in the Harbor, or make reservations at one of the waterfront restaurants. 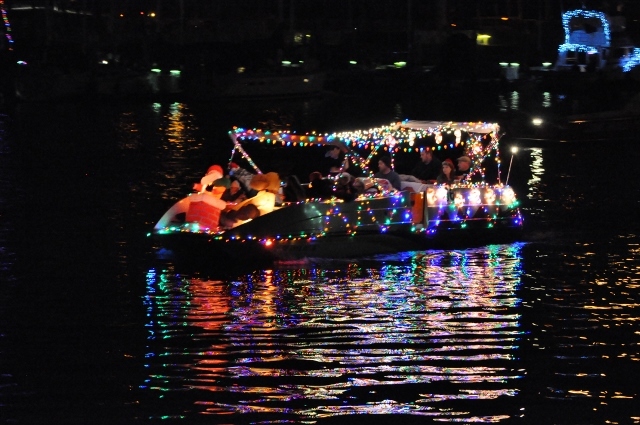 There are also boat rides with Santa December 5th from 10 am to 2 pm from the Dana Wharf Sportfishing Dock. Check out availability and more info below. Don't forget to check out the beautiful houses decorated along the route. 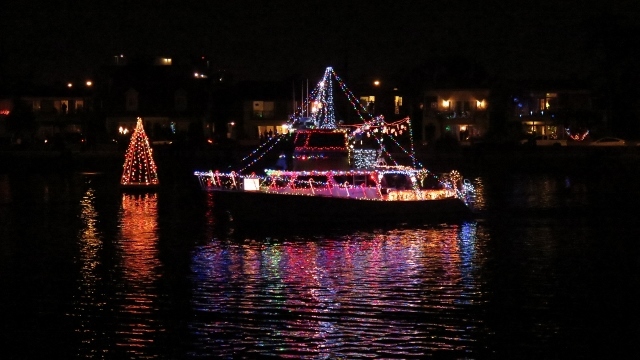 What: Decorated boats parade through the Port of LA Main Channel. View from along the channel or from one of the restaurants with a waterfront view. Parking: Parking fees in County Parking Lots are waived for the parade. There is NO street parking. Parking: Alamitos Bay Marina off 2 Street and Marina Drive offers substantial free parking just over the Davies Bridge from Naples. Mothers Beach off Revenna and Appian Way has some metered parking as well as Beach parking at Bayshore and Ocean Boulevard. When: December 16-20, 2015. The parade starts off Bay Island at 6:30 pm and finishes at the same site at approximately 9:00 pm. There is an opening night fireworks show on December 188 at 6:20 pm. Check the Route Map for the day you will attend. Along the water on Lido Isle. Paid Viewing Locations:Seating is available at the American Legion Post 291 located at 215 15th Street. Call early to reserve (949) 673-5070 or 1-800-655-0149. The Newport Sea Base (1931 W. Coast Hwy.) has lawn seating with a view of the Parade. Call 949-642-5031 for more details. For years, my family participated in the annual LA Harbor Afloat Parade and Newport Beach Boat Parade. While my family does not own boats anymore, it is still a cherished tradition that I have passed onto my own children. It is a great excuse to bundle up the children in warm clothing, grab a couple thermos' of hot cocoa, pack the chairs, and head to the harbor for the magical boat parades. It is similar to going around the neighborhood looking at lights but instead the lights come to you! Each boat is decorated in the years theme to vie for prizes in the various contest categories. 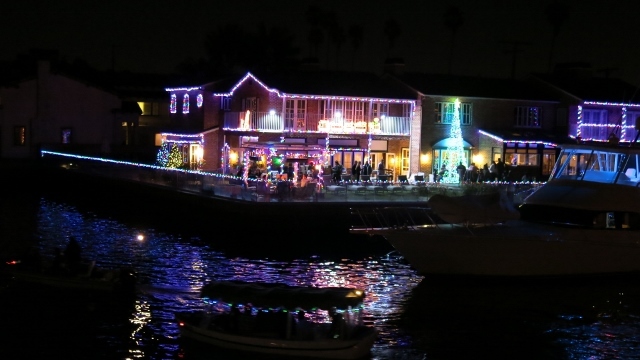 Some enter the contests and some just enjoy a wonderful night out on the water with as many lights as they can fit on their vessel. With music blaring Christmas Carols and well wishers yelling Merry Christmas, it is the perfect activity to put your family in the holiday mood.